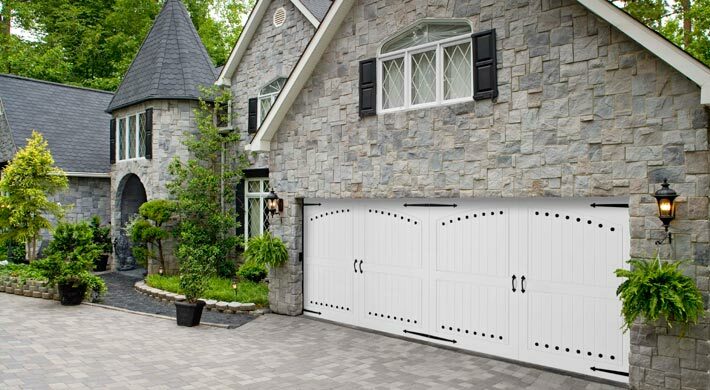 There are five main materials from which garage doors can be made. Here is a quick summary of what steel and fiberglass offer. 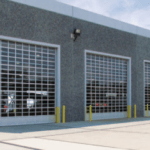 Why use steel garage doors? 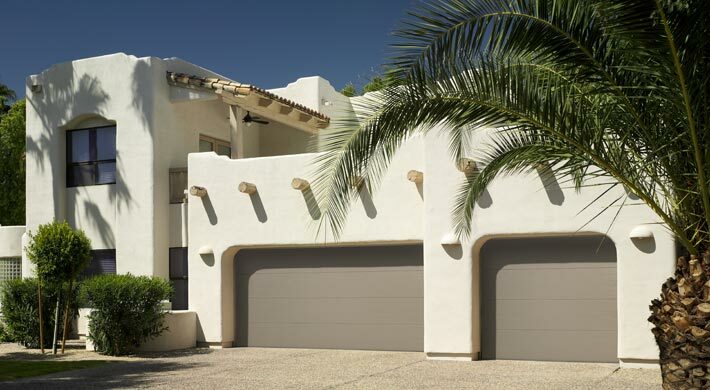 Steel is the most popular material in America for garage doors, and for good reason. These doors are reasonably priced, durable, low maintenance and available in just about any style you can imagine. All steel doors are painted with special polyester paint that helps increase longevity and help the gate withstand fading. Plus, steel is available in textures that mimic wood. Because these garage doors also come in a variety of finishes, including a wood grain finish, they are very popular. The versatility of steel garage doors allows homeowners to have a singular and stylish set of overhead doors without the price of real wooden or carriage doors. When shopping for a steel garage door, two features are particularly worth giving some thought. First, we highly recommend an insulated door for saving energy and reducing noise. Second, top quality doors use steel that is at least 24 gauge. Commercial-grade doors use even thicker steel. Some steel garage doors offer thicker steel on the outside than on the inside. 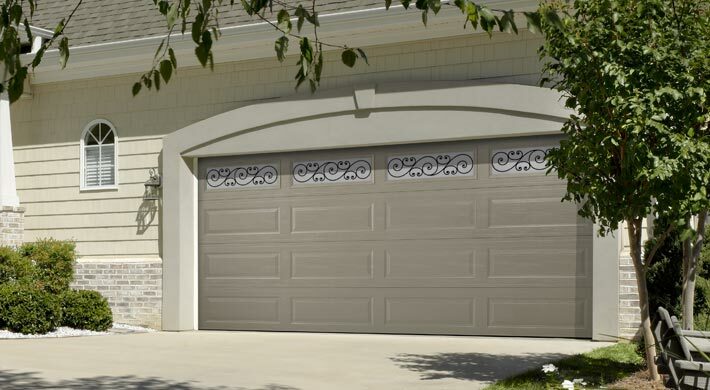 You can easily customize a steel garage door to fit any number of styles and tastes. 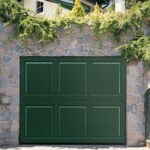 Why use fiberglass garage doors? Fiberglass garage doors represent a small segment of the overhead doors market, but they offer a reasonable alternative to the traditional steel doors. These doors are very light. They are essentially a steel door that is sealed with a fiberglass coating. The coating helps strengthen the doors, making them last longer than the conventional steel doors. Like steel doors, fiberglass doors can come with a wood finish, and provide a cost-efficient way to have the look and feel of wooden doors without the cost or maintenance. You should now that they can fade from weather exposure. But it is more resistant to salt-water corrosion than other garage door materials. Even though this material is a poor insulator, top-notch fiberglass gates, like COHDCO, are insulated, which helps homeowners improve the energy efficiency of their homes. Insulate your fiberglass door for a better energy efficiency home! Overall, steel garage doors are the traditional choice, they offer various color styles and are very easy to maintain. Fiberglass doors are an energy-saving alternative, and make the perfect choice for newer, more modern homes. No matter what your taste is, there is a garage door style available for you and your home at Colorado Overhead Doors Co. Contact us today to for a free estimate on your new garage door!